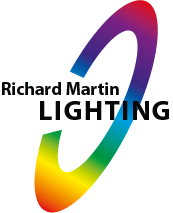 We will use the information you give us for the purposes of hire delivery, which include providing you with service you have requested and enhancing your experience with Richard Martin Lighting. If you tell us you don’t want to receive marketing messages we will stop sending them. We will respect your data protection rights and aim to give you control over your own information by opting in or out. Please note that if you tell us that you do not wish to be sent further marketing communications, you will still receive service communications (as described above) which are necessary, for example, to confirm your hire or to provide you with an update on its status. What is our legal basis of using your personal information? Because we need to use your information so that we can process your hire, fulfil your transport arrangements and otherwise perform the contract we have with you. Because Richard Martin Lighting needs to use your personal information to comply with a legal obligation. Because you have consented to Richard Martin Lighting using your information for a particular purpose. We use your personal data in order to enable us to deliver and charge for our services we provide. The information we collect and process is required for us to be able to perform our obligations and receive payment from you for the services we provide. We keep your personal data only for as long as necessary. We keep your contact information until we consider there is no need to provide hire or technical support or until you request it to be erased. Object to processing of your personal data in particular ways, including processing based on the lawful basis of legitimate interests and direct marketing.